I have bought a Lenovo IdeaPad Y700 some time ago, I installed Ubuntu 16.04 on it and everything worked great. I installed Windows 10 to check whether it's an OS issue or a graphic card issue and I was able to successfully install Nvidia drivers and configure graphic card, so it's rather a Linux issue. As dirkt mentioned it might be kernel issue, but it should not affect driver installation itself. suggests that there is something off with the pci-to-pci bridge that is used to access the graphics card. 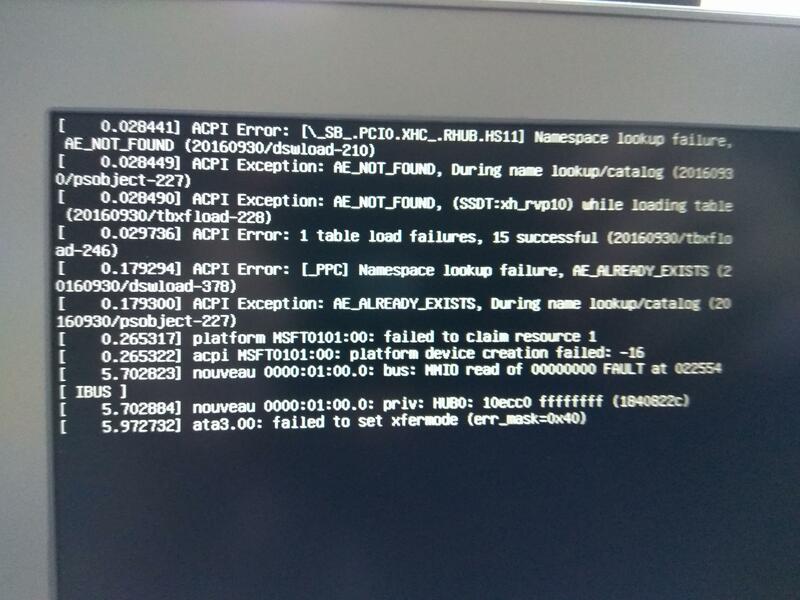 indeed looks like something goes wrong in the ACPI, and GFX0 and PEG0 are probably graphic card sections. The wrong ACPI may also cause trouble with the pci-to-pci bridge. So very likely the BIOS provides slightly different ACPI information after the hibernation (for whatever reason), and Linux chokes on that, while Windows doesn't. So the next step would be to debug the ACPI, which isn't fun, and I'm not expert at that. Possibly you could take this to the kernel people who are responsible for the ACPI interpretation, file a bug and see if someone finds it interesting enough to have a look. Anyway, try to boot Linux with acpi=off kernel parameter, let's give it a try! Second, do you have latest BIOS/firmware installed? Since ACPI is related to low-level software, it's important you have the latest. Third, having graphics driver installed does not mean anything worth! Did you try to launch a 3D program/game in order to check that? Not the answer you're looking for? Browse other questions tagged linux drivers nvidia acpi or ask your own question. How to get dual graphic cards working under Linux? How to select integrated graphic card over NVIDIA?